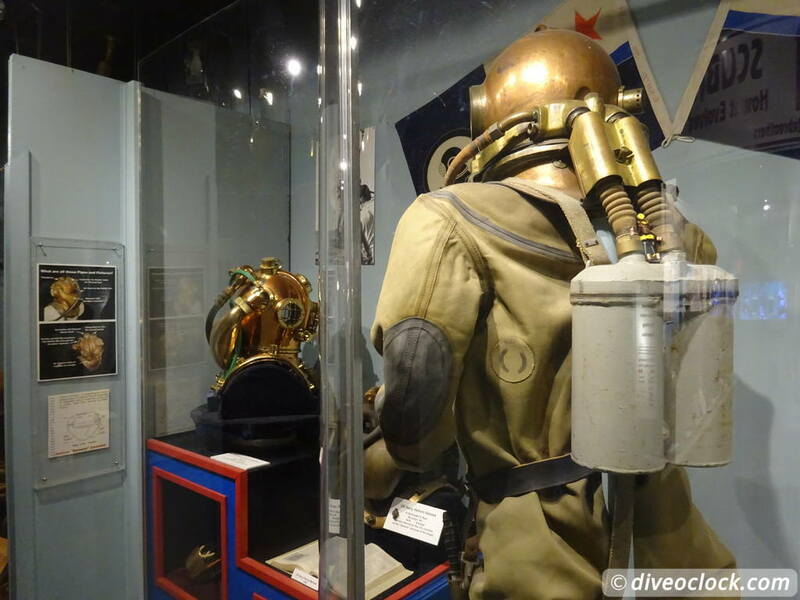 Diving into The Exciting History of SCUBA - Dive o'clock! 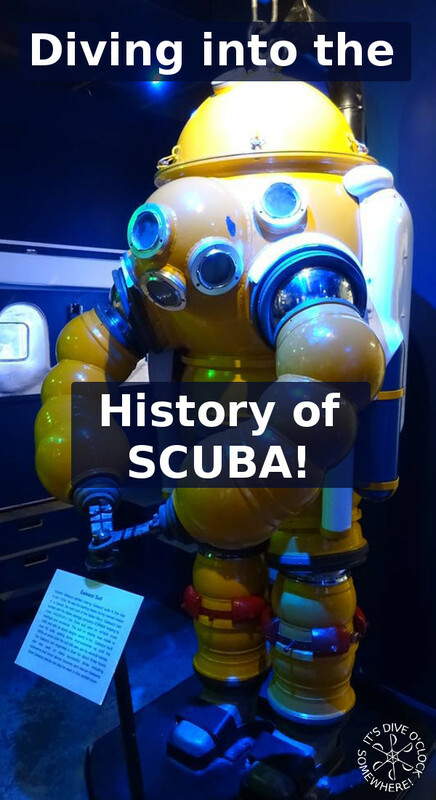 If you like SCUBA diving, do not miss out on this museum explaining all about the history of exploring the underwater world. 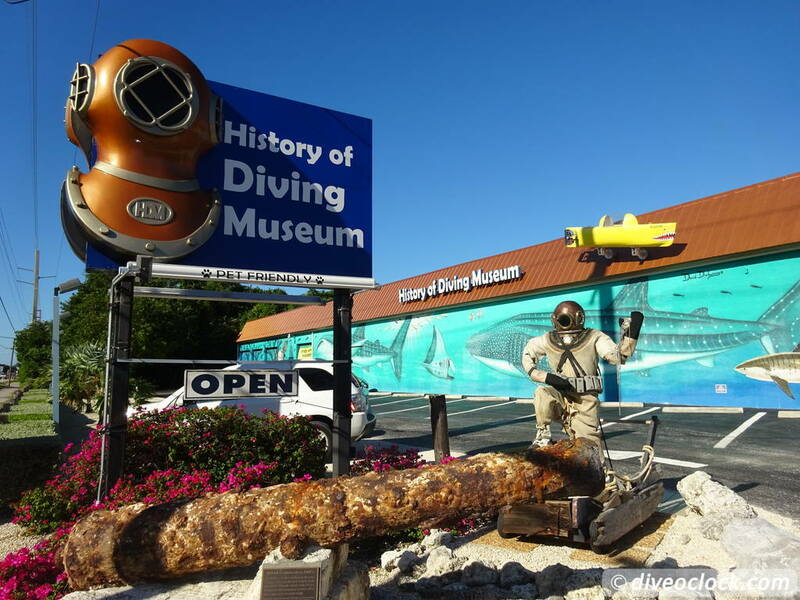 It was only when I was doing some research on SCUBA diving around the Florida Keys that I found the History of Diving Museum. This not-for-profit educational institute is a great way to learn more about the world history of diving. 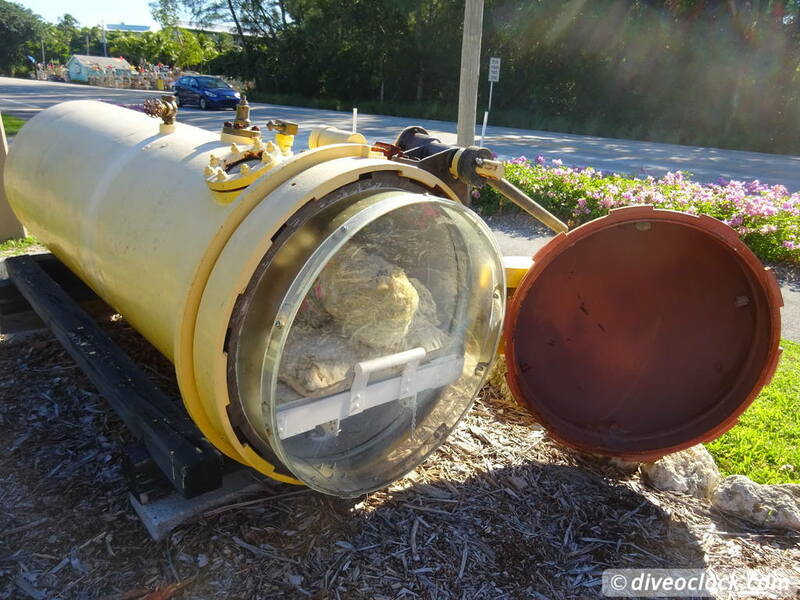 If you visit the Florida Keys, stop at Islamorada Key in the middle between Key Largo and Key West and spend at least one hour here walking through the development of dive equipment and techniques to prevent and recover from dive related illnesses and accidents. From the first people holding their breath for treasure hunting to Aristotle's snorkeling elephant, it really starts hundreds of year before Christ. People experimenting with long air hoses to the surface and diving with buckets (later helmets) with an air bubble trapped inside to breath. It is really interesting to see all the strange things they tried in the old days. 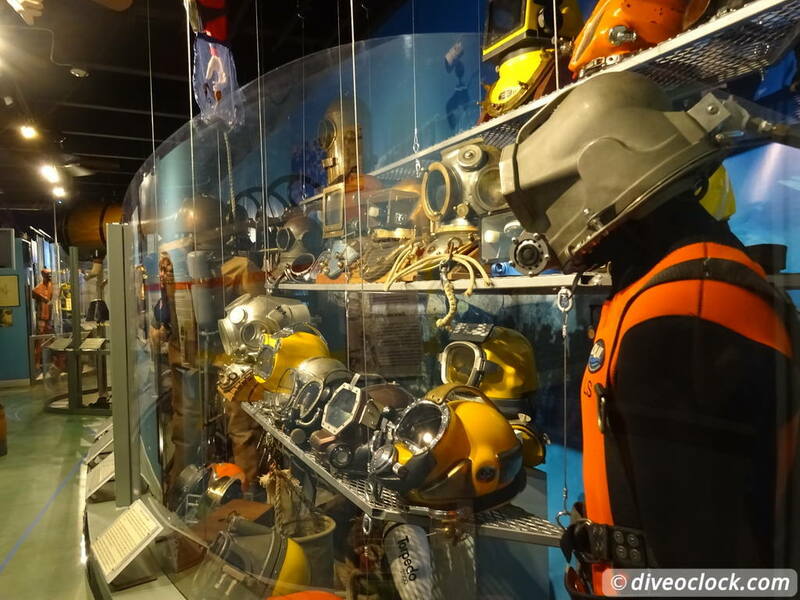 Diving helmets are well presented and all different kinds are displayed from all over the world. 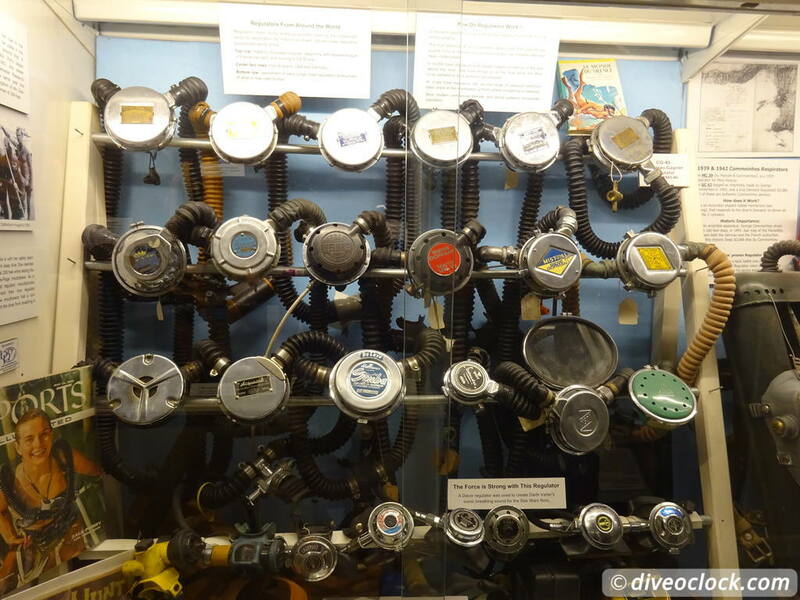 Besides helmets the air pumps that changed into regulators and clumsy weight belts displayed. Even early underwater photography is presented as well as treasure hunting, professional diving and (off course) the beginning of recreational diving followed by technical diving with Helium and present oceanographic research techniques that are actually still operating in the Keys. You have to see it with your own eyes, but here are some more impressions! 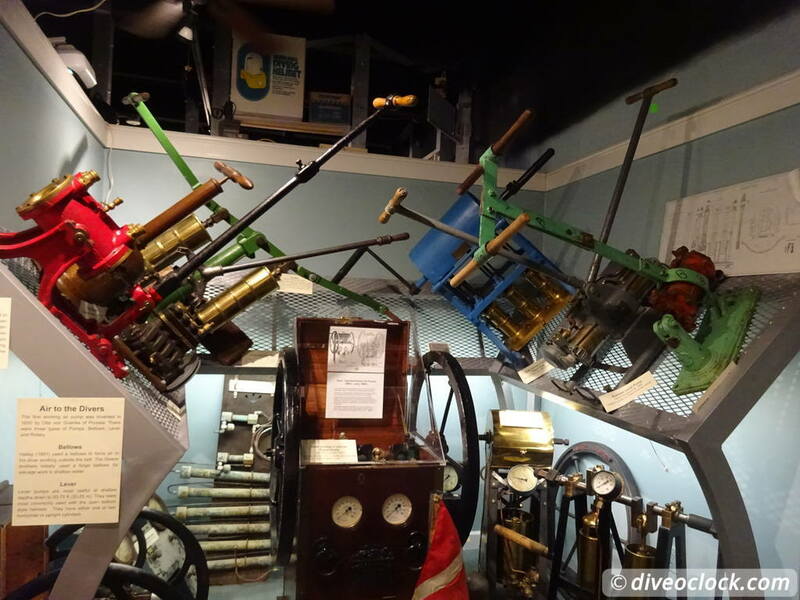 Especially for divers this museum is well worth a trip. The whole area is not so big but because of all the explanations and interactive parts you should take at least one hour to walk through the museum. 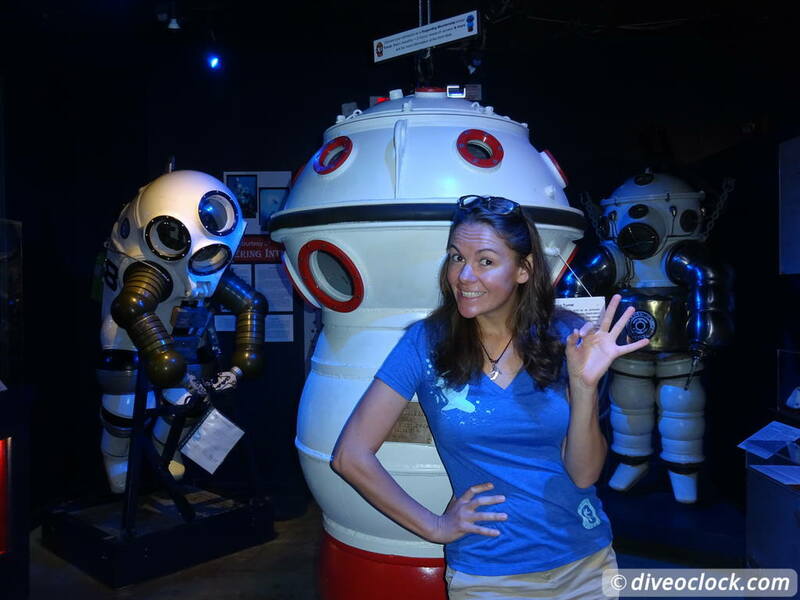 The museum shop (candy shop for dive fanatics) is worth some of your time as well! The admission was $12 when I visited. There were many discount coupons around, parking is free. 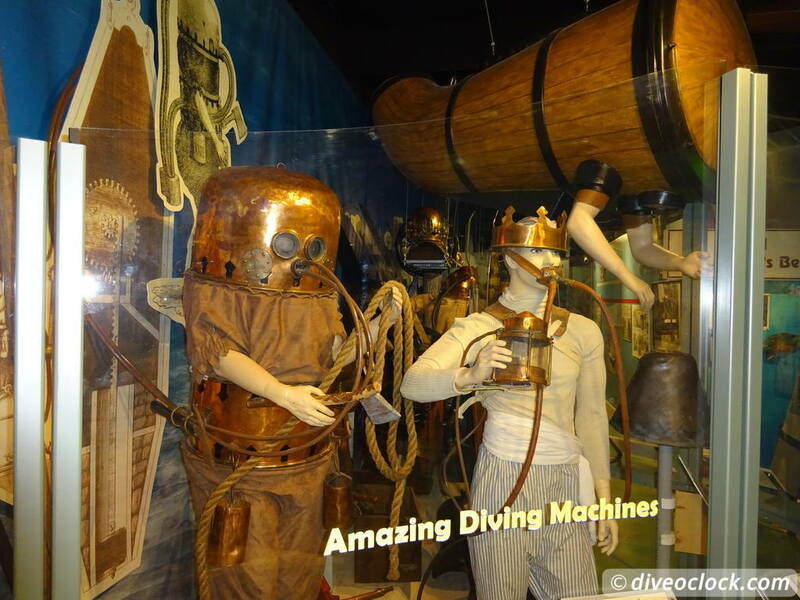 Visit the History of Diving Museum website for more information. The Complete DiverAlex Brylske Ph.D.
How Far Would You Go to See a Whale Shark? 10 Reasons Why You Should Keep Logging Your Dives!